At Addison Dental, your smile is our top priority. From subtle shaping and contouring to major cosmetic procedures, many options exist to take care of discolored, chipped, broken, misaligned or missing teeth. We specialize in many cosmetic dentistry techniques, such as bleaching,bonding, veneers, crowns and bridges, contouring and shaping to give you that perfect smile. Schedule a free consultation with our experienced staff to find out easy it is to get a perfect smile! 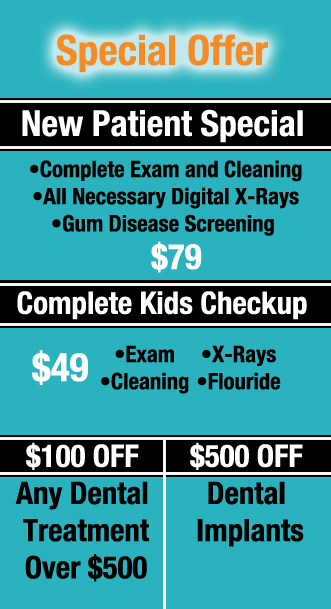 Addison Dental is your neighborhood multi-specialty clinic for all your dental needs. We are family oriented practice and we place a high value on the fact that we share the same standards of fairness, hard work and honest living that our community does. From dental checkups to teeth whitening to dental implants, we are here to provide all that modern dentistry offers and our highly trained staff will assist you in choosing the most beneficial options.